WASHINGTON, DC, April 2, 2018 (ENS) – Today, U.S. Environmental Protection Agency Administrator Scott Pruitt announced the completion of the Midterm Evaluation process for the greenhouse gas emissions standards for cars and light trucks for model years 2022-2025. He determined that, in view of recent data, the current standards are not appropriate and should be revised. Pruitt announced the start of a joint process with the National Highway Traffic Safety Administration (NHTSA) to develop a notice and comment rulemaking to set more appropriate greenhouse gas emissions standards and Corporate Average Fuel Economy (CAFE) standards. Under the Clean Air Act, EPA sets national standards for vehicle tailpipe emissions of certain pollutants. Through a Clean Air Act waiver granted by EPA, California can impose stricter standards for vehicle emissions of certain pollutants than federal requirements. The California waiver is still being reexamined by EPA under Administrator Pruitt’s leadership. “Cooperative federalism doesn’t mean that one state can dictate standards for the rest of the country. EPA will set a national standard for greenhouse gas emissions that allows auto manufacturers to make cars that people both want and can afford, while still expanding environmental and safety benefits of newer cars,” said Pruitt. “It is in America’s best interest to have a national standard, and we look forward to partnering with all states, including California, as we work to finalize that standard,” he said. As part of the 2012 rulemaking establishing the model year 2017-2025 light-duty vehicle GHG standards, EPA made a regulatory commitment to conduct a Midterm Evaluation of the standards for MY 2022-2025 no later than April 1, 2018. This evaluation would determine whether the standards remain appropriate or should be made more, or less stringent. 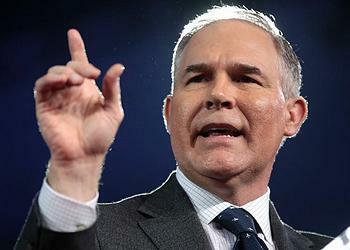 In November 2016, the Obama Administration “short-circuited the Midterm Evaluation process and rushed out their final determination on January 12, 2017, just days before leaving office,” said Pruitt. Since then, the auto industry and other stakeholders have sought a reinstatement of the original Midterm Evaluation timeline, so that the agency could review the latest information. EPA and the U.S. Department of Transportation announced a reestablishment of the Midterm Evaluation process in March 2017. In August 2017, EPA reopened the regulatory docket and asked for additional information and data relevant to assessing whether the greenhouse gas emissions standards remain appropriate, including information on: consumer behavior, feedback on modeling approaches, and assessing advanced fuels technologies. “This decision takes the U.S. auto industry backward, and we will vigorously defend the existing clean vehicle standards and fight to preserve one national clean vehicle program,” said Nichols. “Today’s decision changes nothing in California and the 12 other states with clean car rules that reduce emissions and improve gas mileage – those rules remain in place,” declared Nichols. “Today’s announcement was the expected necessary step that sets in motion a future rulemaking where the government will propose a range of alternatives – sharing the data gathered to support various options – and seek public comments,” said the Alliance, which represents 12 automakers that sell their vehicles in the United States. 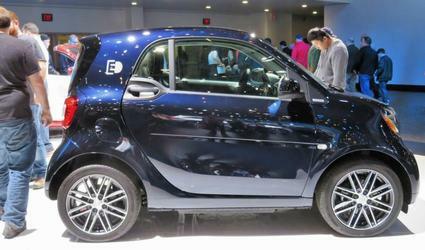 The automakers say they all are committed to increasing fuel economy requirements and the key to achieving higher standards is selling more of the highly fuel-efficient vehicles, including 50 models of electric cars, now in dealer showrooms. 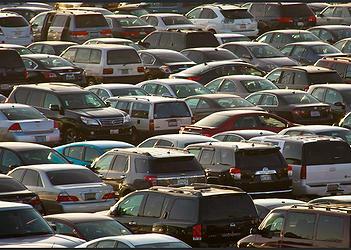 “Consumer research shows that the monthly payment is the top concern when car-shopping. So, to ensure ongoing fuel economy improvement, the wisest course of action is to keep new vehicles affordable so more consumers can replace an older car with a new vehicle that uses much less fuel and offers more safety features,” said the Alliance. “We look forward to working with key stakeholders and the State of California once EPA and NHTSA begin a rulemaking. As in the past, we will review their proposed rule through the lens of its impact on jobs and meeting our customers’ needs for affordable, safe, clean and fuel-efficient transportation. The Alliance of Automobile Manufacturers members are: BMW Group, FCA US LLC, Ford Motor Company, General Motors, Jaguar Land Rover, Mazda, Mercedes-Benz USA, Mitsubishi Motors, Porsche Cars North America, Toyota, Volkswagen Group of America, Volvo Car USA. Robert Weissman, president of the nonprofit Public Citizen, sees the issue in monetary terms. “EPA Administrator Scott Pruitt and the Trump administration are conspiring with the major automakers to loot nearly $100 billion from American consumers,” he said today. “The clean car standards that Pruitt is today seeking to roll back will save families thousands at the gas pump over the lifetime of a car if they are left intact,” said Weissman. Federal Register Notice: Mid-term Evaluation of Greenhouse Gas Emissions Standards for Model Year 2022-2025 Light-duty Vehicles, signed April 2, 2018.